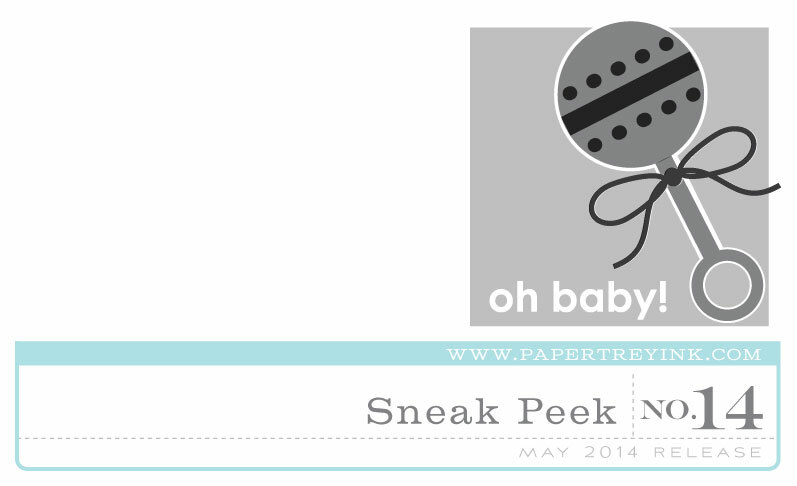 We have a few new baby sets this month, with this first design by Erin Lincoln kicking off things. This adorable set of customizable diaper pins will add a unique touch to your baby projects! 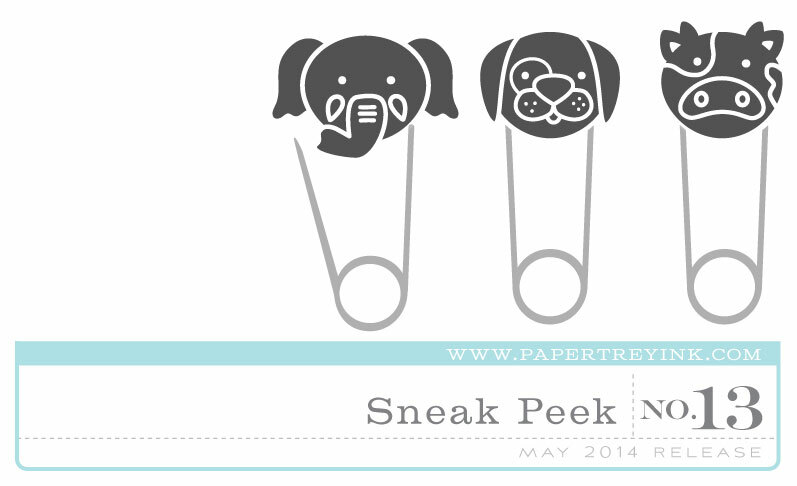 Not to mention, the interchangeable animal toppers can be used for things other than diaper pins as well! Just wait until you see some of the ideas we have for these! Lexi Daly has put together a great little $5 mini set that is all about the rattle. With a reverse background block to start things off and then other bits and pieces to layer in, a quick and easy baby card can be made in minutes! You can acheive even more looks by using the rattle without the background block. Dozens and dozens of design options here! By customer request, we will be introducing a third set of Wet Paint sentiments! This set includes lots of verstile words that perfect for card making. You will want to add this to your collection so you have even more ways to add this popular style to your cards! 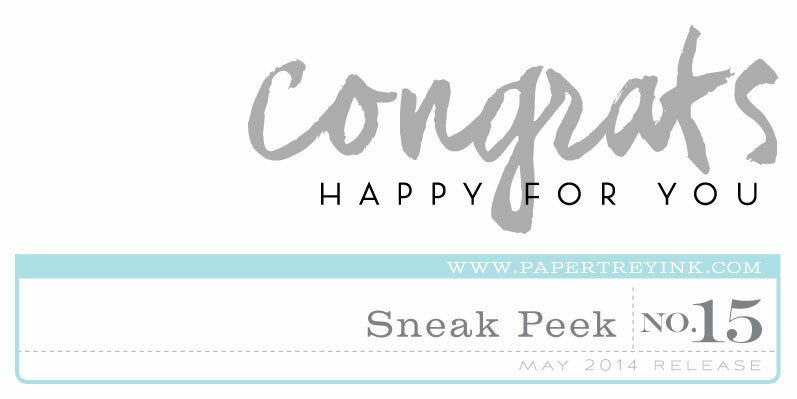 That wraps up the sneak peeks for this month! I hope there a few things that you're looking forward to seeing more of! Join us tomorrow morning to see some of the amazing projects and ideas the team has put together for you using the new May products! Cannot wait until the full reveal. Wet paint is heading my way. I’m so excited for Wet Paint! Would love to know what font it is! OMG…….the diaper pins are adorable! Oh goodness, love the diaper pins. Too cute. Love the sneak peeks and I’m always excited to see everything in its entirety. Yay! More Wet Paint sentiments. Love that font. Cute peeks today. Happy about another Wet Paint set. such cute things for baby cards! new wet paint stamps will be great! That diaper pins are so cute! With interchangeably head pins, I think it is great or non baby projects too! You continue to amaze us with your new designs. Oh, I love those animal topped diaper pins! Adorable! Oooooooooo, I want the wet paint!!! I love the wet paint! I have the other two, this one is a must. there are just no words for the cuteness I see!! WOW! Yay! another Wet Paint set! Woo-Hoo!!!!! I like what I am seeing. I love the wet paint and am happy to see another one! Can’t wait to see the teams creations for this month! Very excited for the new products this month! The diaper pins have stolen my heart. So sweet! Another great release. My favourite so far is Mellisa’ s flower set, so funky. Those diapers pins are just cute as can be! Love the wet paint sentiments! So cute! Diaper pins! How many ppl here have used them for real?! I love making baby cards for new parents! These would be a great addition to my collection. Lovely~ super cute and love wet paint sentiment!!! Looks like summer has (finally) arrived! Gorgeous products. I have to get the Wet Paint sentiments…there is nothing like them! Love the wet paint series! Looking forward to the release! Really fun to see all of these ideas. Very inspiring! All of these are great. Love the baby rattle! Those diaper pins are adorable.